There are plenty of vintage Mercedes-Benz and big ol’ American wagons floating around the classifieds each week, so to stand out sellers have to be offering something pretty special. Though we regularly fantasize about buying a typical vintage wagon, there are certainly a number of unconventional models worthy of consideration. 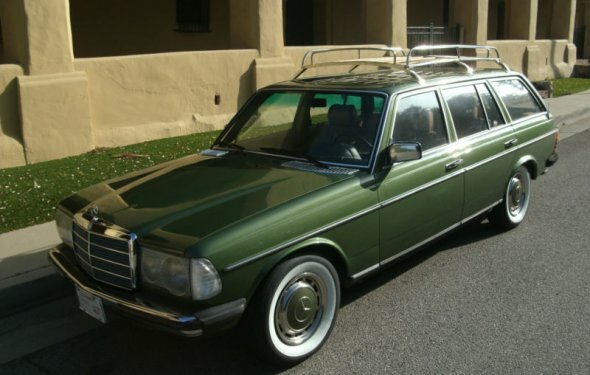 It possible to buy an oddball station wagon at any price point? If you’re a fan of pastel paint (as we are), incredible design (yup), and insanely interesting interiors (ditto), it’s difficult to do better than a canary yellow Citroën ID 19 Break. 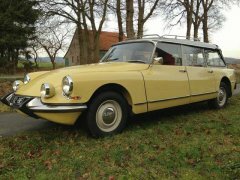 This restored1976 example of the ID is basically the less expensive version of the DS—so no swivelling headlights—but it retains trick load-levelling suspension and the funkiest interior this side of the Citroën Kar-A-Sutra. Ketchup & mustard! 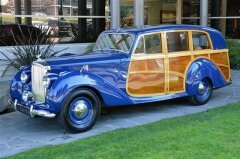 Without a price, it’s easy to let your mind run rampant at how much a very purple 1949 Bentley Mark VI “Woodie” would sell for. With a recent full restoration and absolutely amazing woodwork, this example was originally constructed by the Rippon Brothers of Huddersfield—who were Britain’s oldest coachbuilders. Likely at a price high enough to bring a nice Ferrari home, we maintain that picnics with friends are often more fun than they may seem. With lines longer than the queue for Space Mountain, this finned and very Mad Men Chrysler Town & Country Newport is the perfect car to cruise in. Said to be from California, it’s one of just 1, 832 for the model year and shows few blemishes and a decent amount of supporting documentation.